Freightshop can provide a packaging service for your goods if you don't have the time or materials. We stock the following materials that can be purchased to help protect your precious cargo. 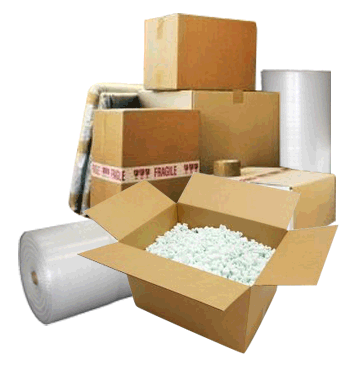 You can simply purchase the materials from us and package your own goods, or we can supply and pack your goods for you. We do ask that you please call us prior to delivery of your goods that require packaging, as this service will not be available on certain days when we experience high levels of cargo.